Having a distillery doesn’t make you a distiller any more than having a piano makes you a pianist. 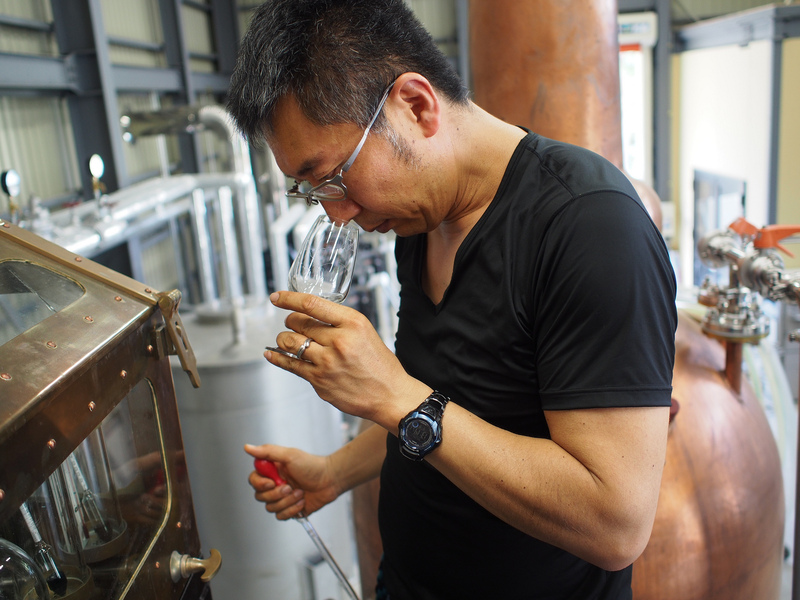 According to Yoshiharu Takeuchi, owner of the one-man rum distillery Nine Leaves, being a rum distiller is not quite as difficult as being a pianist, though. Who are we to argue with that? Today, we’ll follow him from raw product to spirit. 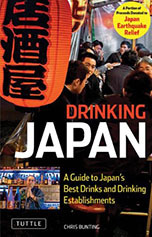 Even though rum is not a spirit native to Japan, it was essential for Takeuchi-san that all the raw materials for his rum would be domestically sourced. Just like he found his water source by accident, he came in contact with an excellent sugar cane producer at just the right time. As he says: “whenever I needed something, the right person turned up to help me.” The sugar cane used for his rum comes from Tarama-jima, a small island between Miyako and Ishigaki in the Okinawa archipelago. 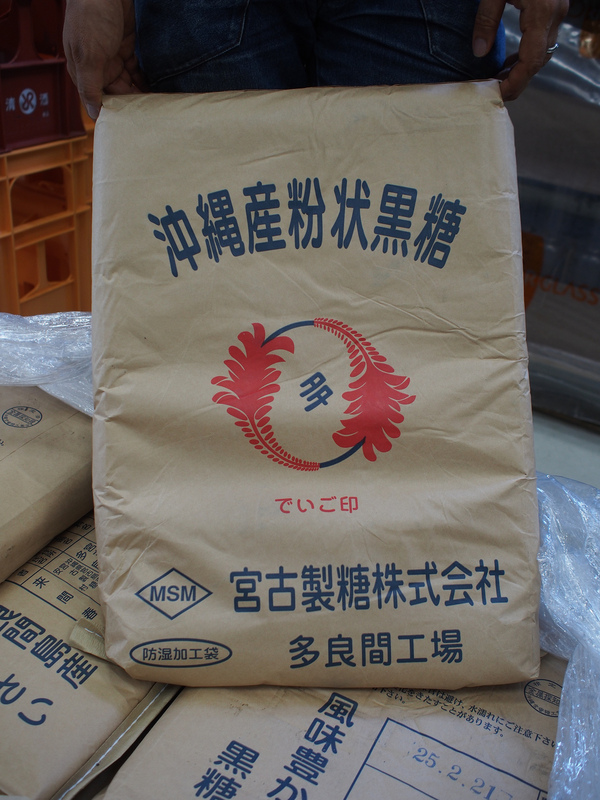 Takeuchi-san uses 120 kg of sugar cane for one batch, i.e. per 1,000 litres. 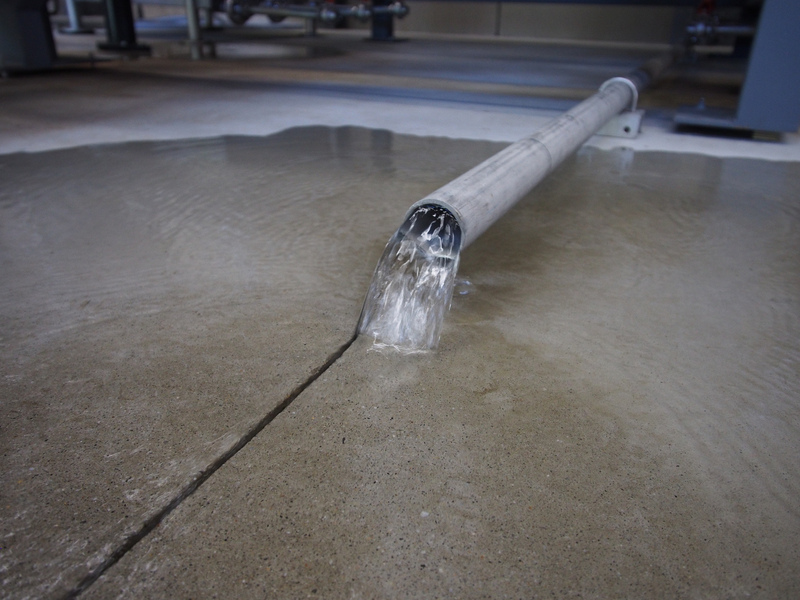 The fermentation time is 4 days and when it’s ready for the first distillation, the wash is about 6-7% abv. 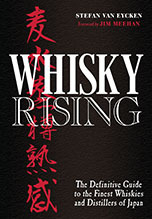 Following the practice of French ‘rhum agricole’ distillers, Takeuchi-san uses baker’s yeast – again, domestically sourced. 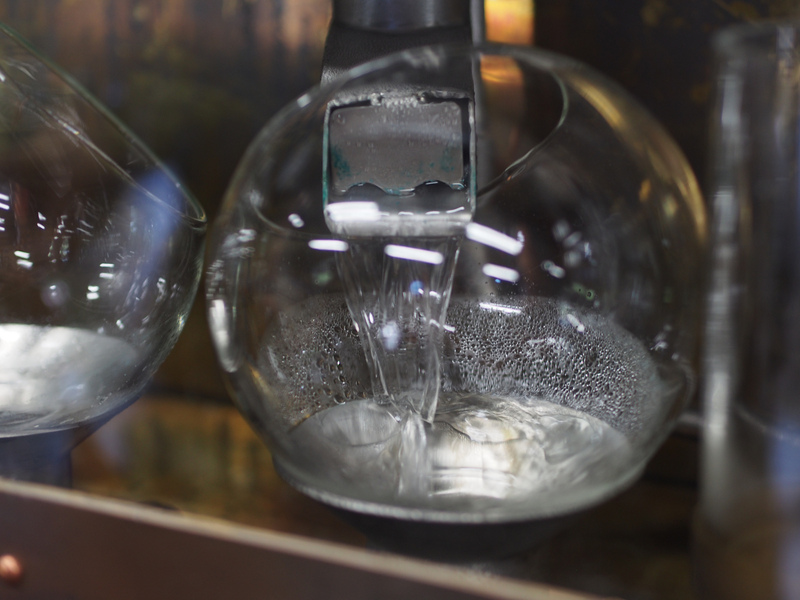 The first distillation yields about 300 litres of low wines (18% abv), and the second distillation about 100 litres of spirit (62-85% abv). Takeuchi-san doesn’t have a fixed cycle of production. That’s because the distillery is a one-man operation. When he’s busy elsewhere, the distillery is closed for days. When he’s got time, he works until the process has run its course. 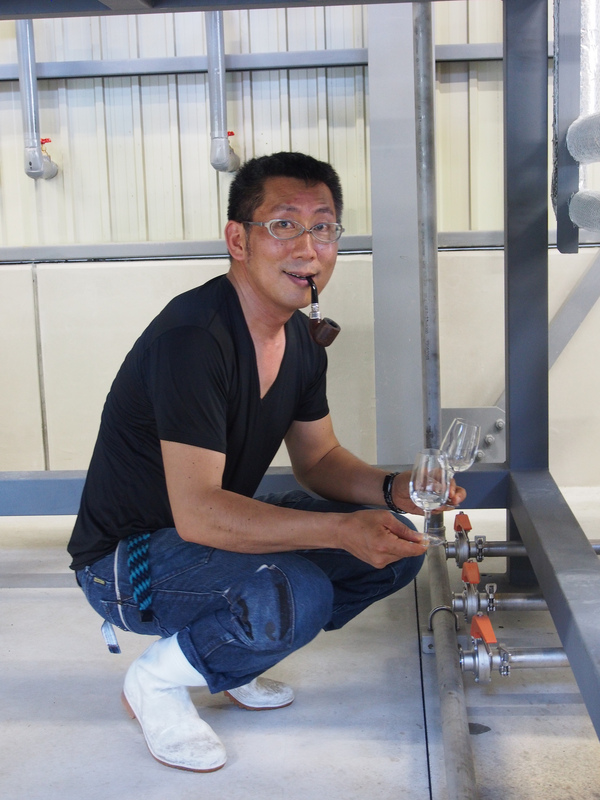 On an average day, Takeuchi-san will take care of his car parts business in Nagoya during the daytime, then jump in his care and drive for an hour and a half until he arrives at his distillery in Shiga prefecture and start his work there. Depending on how long things take, he will either drive back home or stay at the distillery. He likes this way of working, he says, because it’s a bit like the work cycle of a bartender. Also, since he’s the boss and the only employee at the same time, he doesn’t have to worry about overtime pay. Making rum is one thing; bringing it to the people another. Tomorrow, we’ll follow the spirit from tank to glass. 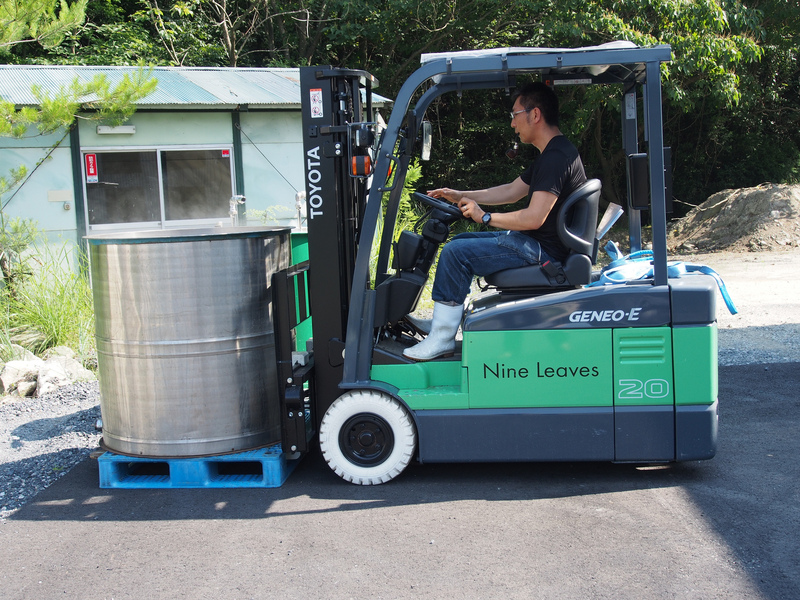 Join us again as we continue the story of Nine Leaves Distillery.